Love it or hate it, the smash hit "Sharknado" isn't going away anytime soon. Syfy, The Asylum and Earthbound LLC have announced their partnership with over 20 merchandising outlets, which will bring more than 45 newly licensed items to over 1,000 retailers nationwide. Fans of the epic disaster flick will soon be swimming through such products as posters, jewelry, Halloween costumes, mobile accessories, various clothing items, collectibles and more in stores such as Wal-Mart and Hot Topic. “Whether it’s crazy hats, jewelry or boxer shorts, Syfy fans simply can’t get enough of Sharknado. We listened. Now we’ve given them what they want[...]As Sharknado consumed social media last year, now it is swallowing up the world of merchandising. This wide range of products underscores the insatiable public appetite for Sharknado," Vice President of Syfy Ventures, Jeff Li stated. David L. Garber, producer of "Sharknado" and "Sharknado 2," said of the new venture "The Sharknado brand has become part of the worldwide vernacular. It is an incredibly fun, exploitive, cult phenomenon. It has shown to be the perfect fit for a wide range of unique merchandise while providing partners with opportunities to increase retail sales. 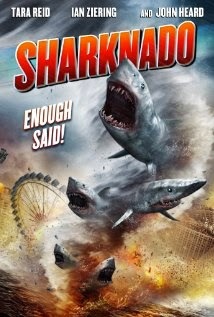 We see Sharknado as an extension of The Asylum’s unique brand. Working with Earthbound and Syfy, we are thrilled to have product everywhere including apparel, collectibles and other merchandise worldwide." 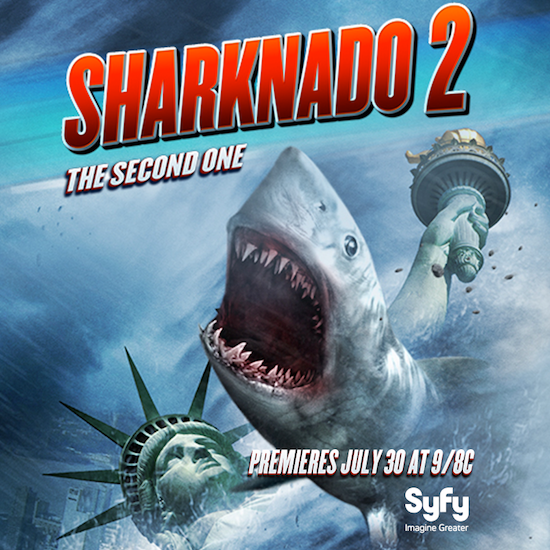 "Sharknado 2: The Second One" premieres July 30 at 9PM (EST) on the Syfy channel and will be aired internationally in 86 countries within 24 hours of the US premiere. Be sure to curl up in your new Sharknado jammies, tune in and let us know what you think!